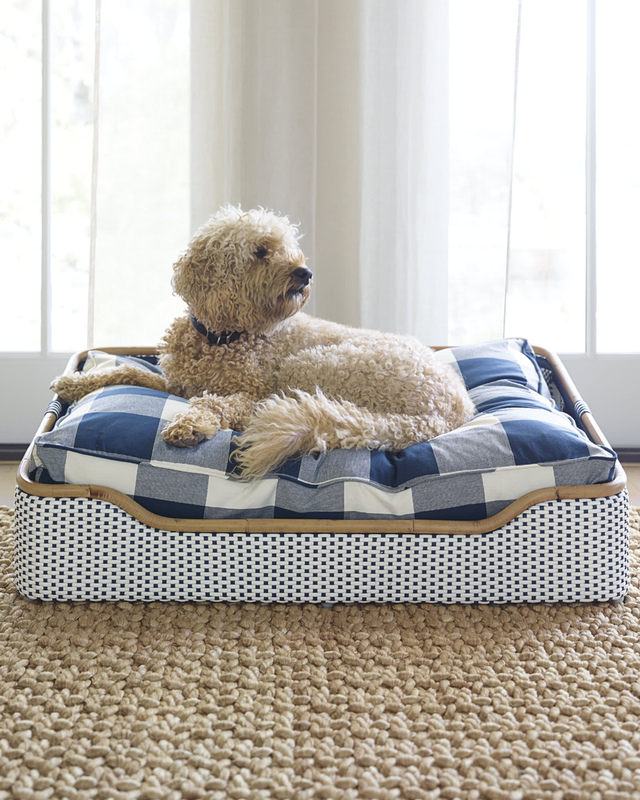 Riviera Dog BedRiviera Dog Bed, Navy Gingham alt="Riviera Dog Bed, Navy Gingham"
Print A stylish bed to pamper your pup. 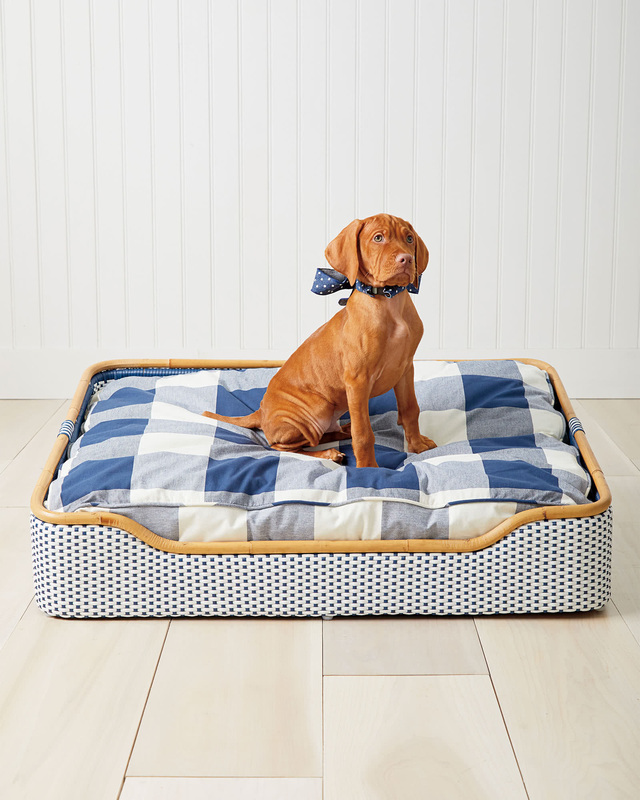 Ours features a handcrafted rattan frame, chic woven details, and a cushy pad slipcovered in a classic navy gingham. Coordinates with furniture pieces in our Riviera Collection. 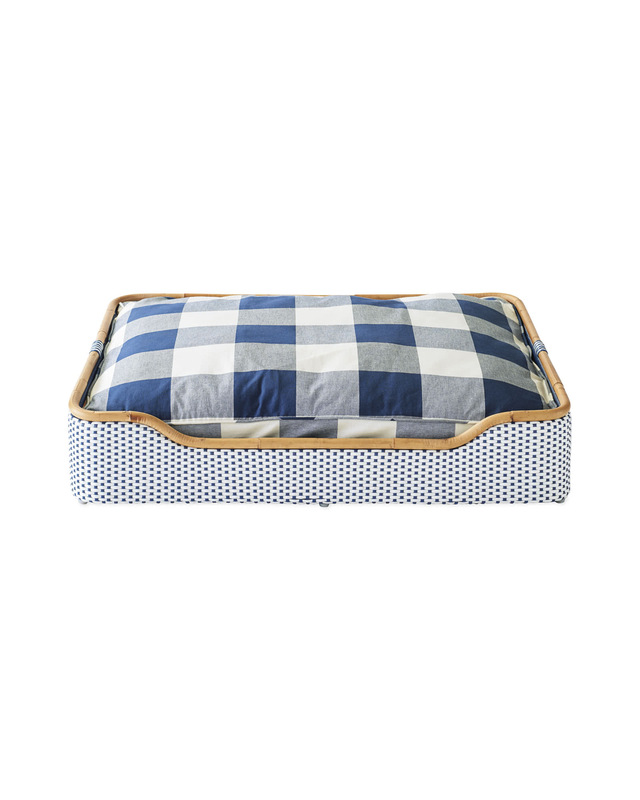 Bed frame made of sustainable rattan and woven plastic. 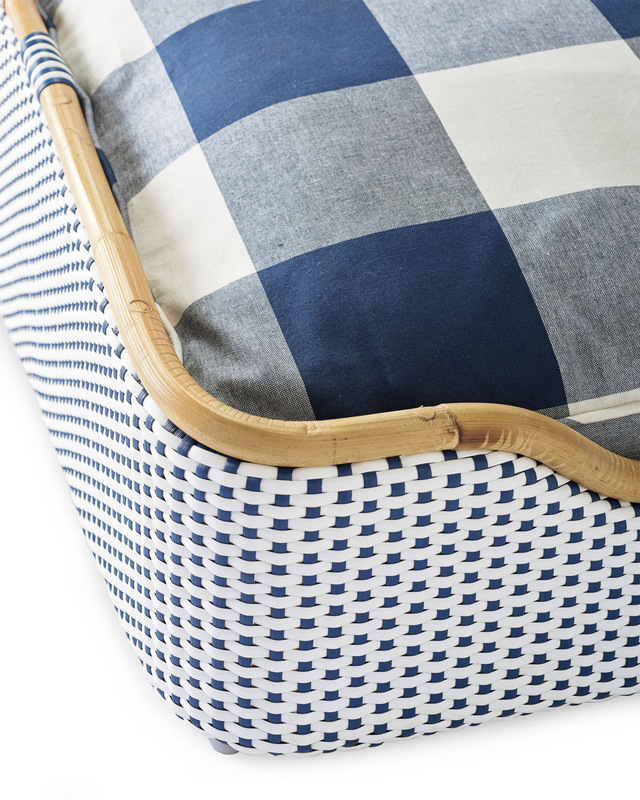 Removable cushion cover in 100% cotton or Perennials® Performance Fabric. Insert filled with Sustainafill™, a non-allergenic, eco-friendly fiber. Dust the bed frame regularly with a dry cloth. Blot spills immediately and wipe with a damp cloth. Avoid the use of cleaners and abrasives to protect finish. Tumble dry the cushion cover on low or allow to air dry. Cushion insert is spot clean only. 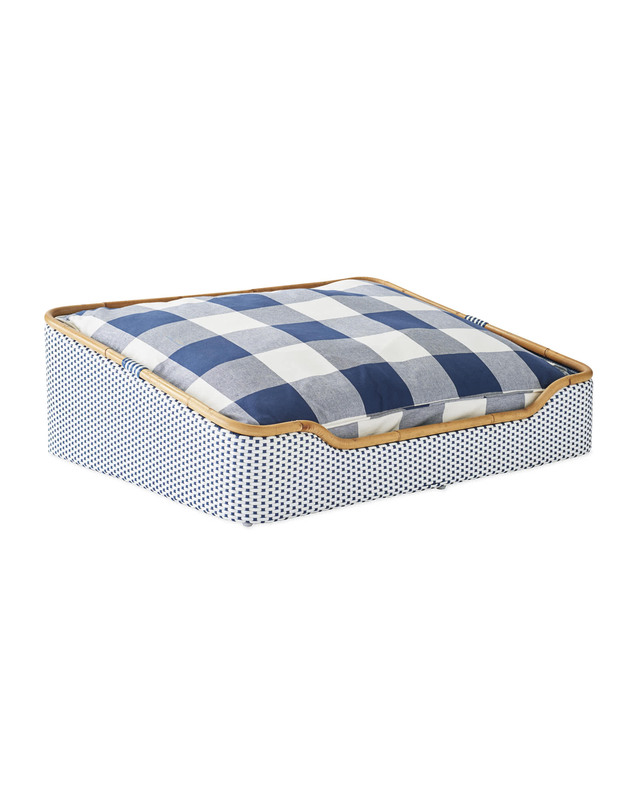 Small bed frame: 27”SQ x 10”H overall; Cushion: Cushion: 25”SQ x 5”H. Large bed frame: 37”W x 28.5”D x 10”H overall; Cushion: 36”W x 28”D x 5”H.